Stormcloud Brewing Company and Frankfort's historic Garden Theater present the 6th Annual Dark & Stormcloudy Film Series. The series pairs award-winning films with small batch dark beers, handcrafted specifically for each movie selection by Stormcloud. Our first film and beer pairing happens in January, then continues in February and March with a second and third film and beer pairing. Synopsis: For sommeliers, coffee has three flavors: bitter, sour and a bit of fragrant towards the end. Through the common element of this so evocative product, this movie tells three stories set in three very different parts of the world. In Belgium, during some riots, a precious coffeepot gets stolen from a shop. Once discovering the identity of the thief, the shopowner decides to take vengeance alone. 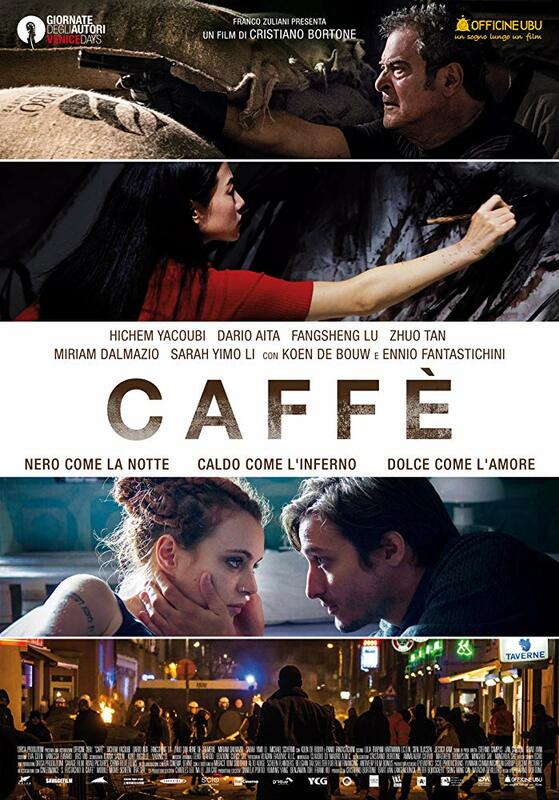 In Italy, a young Latte expert is involved in a robbery, but things don't go as planned. In China, a brilliant businessman finds out that his factory risks destroying a valley in the Yunnan, the beautiful region on the border with Laos. January Beer: Coffee Saison - A saison brewed with coffee sourced from The Yunnan Peninsula, featured in the film. Movie Tickets: $10 per person. Plus each movie ticket purchaser receives a $5 Stormcloud token. Movie tickets can be purchased the day of the show at the Garden Theater's box office prior to the start of the film.